Yes, another entry on Amoy Food Centre. 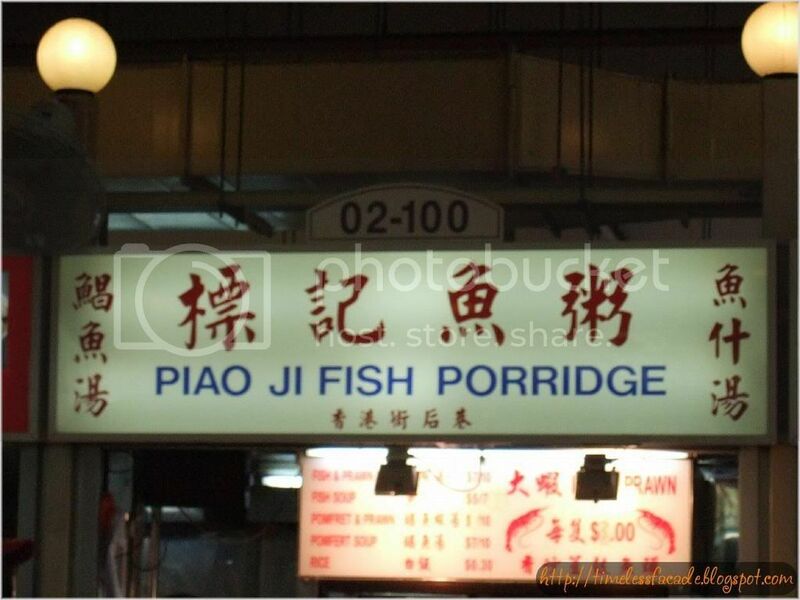 This time its the Fish Porridge stall on the second floor. Plastered with food awards, expect a long wait at this stall. I was lucky as I dropped by on a public holiday, so it wasn't half as bad. I had a bowl of Fish Soup and a bowl of rice to go along. The minimum order is $5 and you get a huge bowl of thickly sliced fish which are very springy and fresh. The soup is nice with the fried onions but a tad too oily. This is just about as good as a bowl of fish soup can get. Will be visiting Singapore in 3 weeks time. Used to live there 20 years ago but now staying in Sydney. Looking forward to reaquaint the 'heavenly' taste of Singapore food. You never realise how good it is till you live overseas. Not much choice here. Thank goodness for your blog. Really enjoy your assessments and mouth-watering pictures, especially. 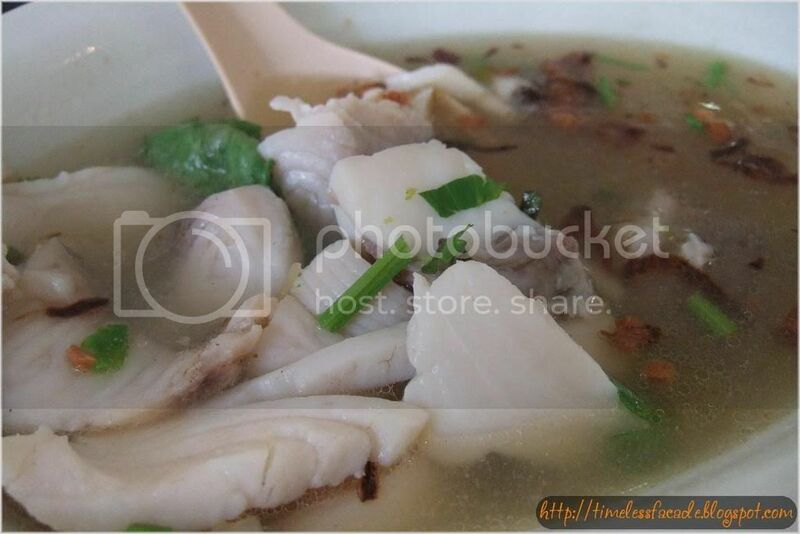 Have already earmarked several places worthy of visiting including this Piao Ji Fish Porridge! Keep the postings coming, please. Many homesick ex-Singaporean and PRs will really appreciate your effort. Thanks alot and warm regards. Nice. All the fish soup there nice also. Maxwell, Changi also good.